The first day of Fall is officially behind us and we are beyond excited that our favorite cozy season is finally here! The weather may not have gotten the memo just yet, but we couldn't be more ready for football parties, hot bourbon cider, pumpkin carving and opening up our homes to our family and friends. 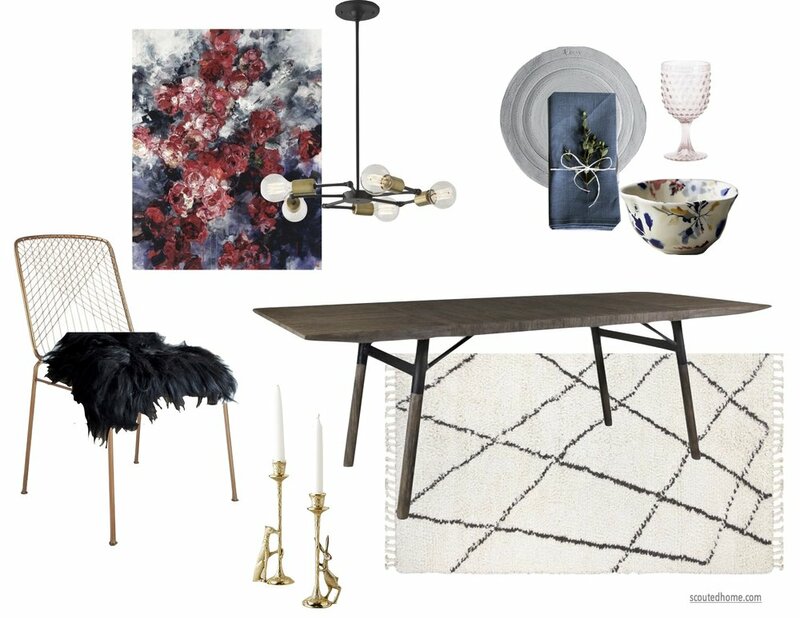 We've rounded up our favorite dining room decor that will bring a moody edge to your space. We're trading in the typical colors of Autumn (think orange and brown tones) for deep shades of crimson and indigo. We top off the look with rose gold and brass accents for shine and add modern contrast with black and white. From a dark and spooky Halloween party to a sultry Valentine's dinner spent at home, this high-drama look is beautiful and versatile enough to carry you all the way through the holiday season!